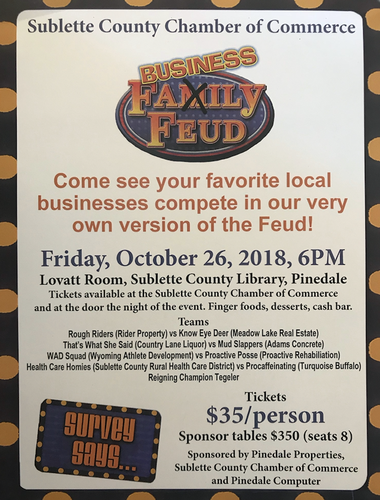 Come watch as 9 local businesses have a little friendly feuding! Members will also have the oppotunity to vote for new Chamber of Commerce board members. Tickets are available for $35 per person. Available online or pay at the door.